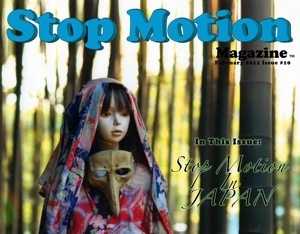 Stop Motion Magazine: Japan Issue of Stop Motion Magazine Available for Download!!! Just took a look at it--HOLY COW!!! This is a fantastic issue, John. Each article is incredible. And behind the scenes on Komaneko?!!! CRAZY! Yuji turned me on to the series and it's been very rare and difficult to find anything in English about them. And the master ball joint maker--inspiring! It was a great collection of interviews. I'm glad you like it. I agree with Shelley. Really fantastic issue. I never even knew about japanese stop motion. Thanks a million. Cheers! Great issue! I love Domo! so much so that I have a tattoo of him!